Once the base line is established, the presentation is fully fleshed out with appropriate content and validated by rigorous research. By substituting another discipline, like accounting, finance, law, or theology, for the word "science," it becomes readily apparent that the formula works across a wide swath of professions. When we drop the jargon along with the boring bullet points, make the subject relevant to our audience, and present it with passion, understanding is achieved. Our PP presentations aim for this sort of understanding. When you find yourself in need of a quality PP presentation, contact us today to see how we can develop an effective presentation that meets your needs. 1. 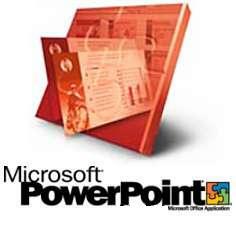 MS PowerPoint is a registered trademark of Microsoft Corporation. 2. © 2005 by Cliff Atkinson. Microsoft Press, a division of Microsoft Corporation. Redmond, WA.